Luis Suarez is a Uruguayan professional footballer who plays as a striker for Spanish Club Barcelona and the Uruguay National Team. Luis Suarez real name is Luis Alberto Suarez Diaz who was born on 24 January 1987 in Salto, Uruguay. His father name is Rodolfo Suarez who was a porter from a poor mixed background having African ancestor and his mother name is Sandra Suarez. When Luis was seven years old his family moved to Montevideo for work. He has seven siblings. His elder brother is Paolo Suarez who is also a professional football player who played for National Football Team of Guatemala. Their childhood was with poverty and it was difficult for them to afford him a pair of soccer shoes. However, he managed to play in the streets and pursue the sport. His mother encouraged him by introducing him to Urreta FC which was a rich football club. At the age of nine while he was playing for Urreta FC, he was discovered by Wilson Pierz, who was scouting for the National Youth Team. When he was twelve his father walked out of the family and it was very difficult for his mother and grandmother to bring up the boys. Though he was not very good in academics nor very keen in football but the requirement to earn motivated him to take the sport as a career. When Suarez was youth he lived his early life in Salto where he played football and at the age of seven, when his family moved to Montevideo, he played youth football at Urreta FC. Suarez joined local side Nacionals youth team at the age of 14. He made his first team debut against Junior De Barranquilla in the Copa Libertadores. He scored first goal in September and helped Nacional win Uruguayan League with 10 goals in 27 matches. 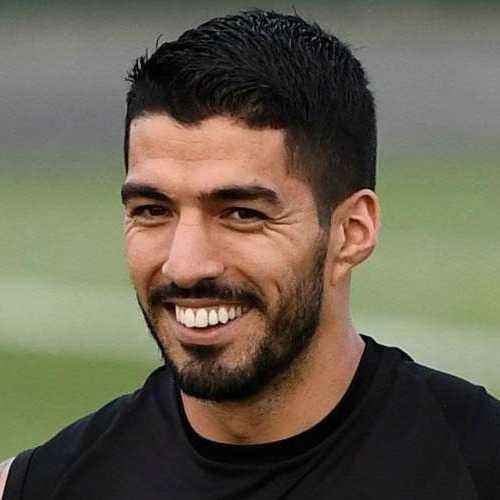 Suarez made his first international debut in football as a member of the Uruguayan team that reached to the knock out stage of the 2007, U20 world Cup which was played in Canada. There they lost with USA. After the U20 World cup, he got offers from Groningen and ajax football clubs to play professional football. He joints shortly for Groningen and was picked by Ajax for five years’ contract. He scored 111 goals for the club and was recognized as Dutch Footballer for the year. After that Suarez was hired by Liverpool FC and became one of the most expensive player in the year 2011. They won Champions League and he won ‘Golden Boot’ for himself. He was named Player of the Year. Suarez played the most important role in fourth position finish of Uruguay in 2010 FIFA World Cup. He was also named as Player of the Tournament in 2011after winning the Fifteenth Copa America. He captained the national team in 2012 Olympics Game. He scored 40th international goal in 2014 FIFA World Cup for his country. Suarez made his debut in 2018 FIFA World Cup. On 10 October 2017 he scored twice as Uruguay won 4-2 at home Bolivia in their final World Cup qualifying match. They secured their place for the tournament in Russia. 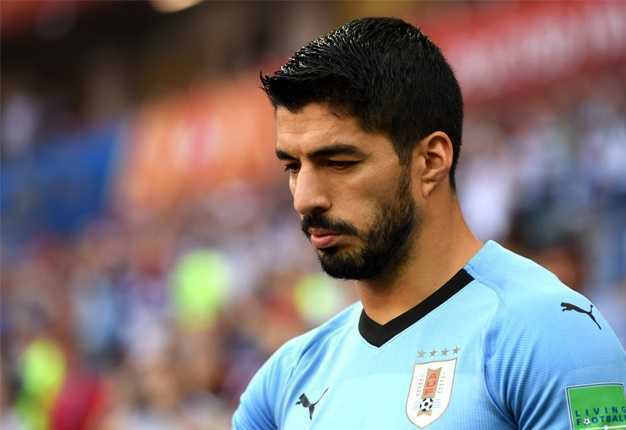 On 20 June 2018he won his 100th cap in Uruguay’s second group match at the World Cup scoring one goal against Saudi Arabia. On 25 June 2018 he scored a free kick goal and win over hosts Russia with 3-0. Suarez started dating Sofia Balbi at the age of 15 in Montevideo. Sofia was a positive influence in his life. When Sofia’s family moved to Barcelona in 2003, he focused on football as a result he wanted to follow them to Europe to meet Sofia again. The couple got married in 2009 and have a son and a daughter.